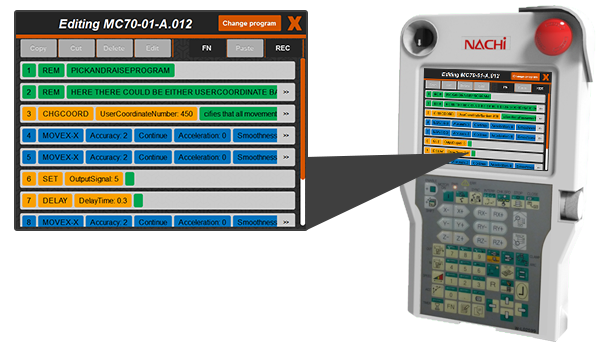 The purpose of the Program Editor is to provide the user intuitive and simplified means of creating, editing and excecuting programs on the NACHI FD11 robot. Program Editor is displayed as a button-Fidget on a User Screen, (see the User Manual for more information about Fidgets and User Screens) and can easily be accessed from any User Screen in FlexGUI. How do I get Program Editor? The Program Editor is included in the FlexGUI ordinary license. Users without a valid license can try the demo for free. 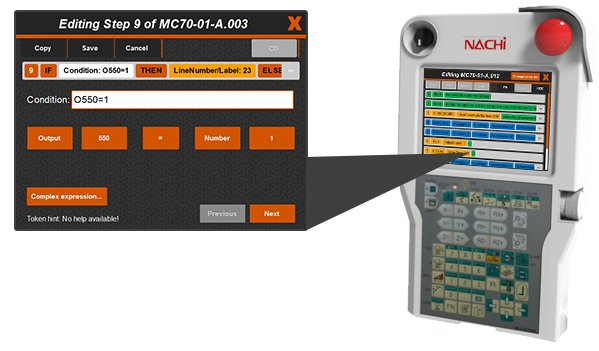 If you or your company is interested in buying a FlexGUI license, please see the web page, or contact PPM or NACHI.